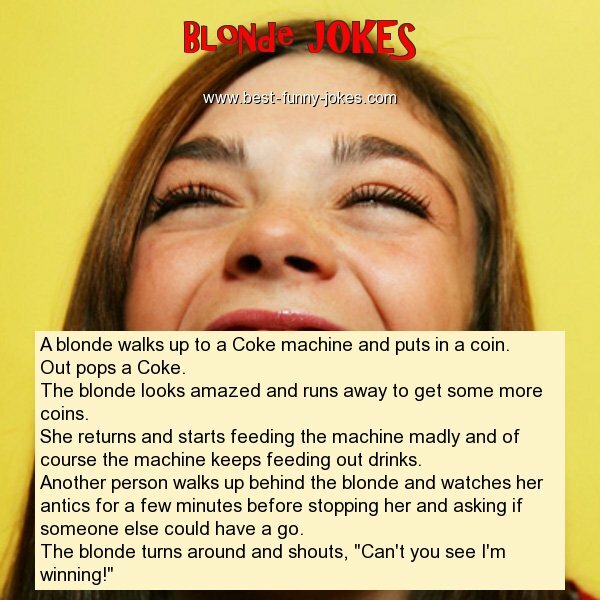 A blonde walks up to a Coke machine and puts in a coin. The blonde looks amazed and runs away to get some more coins. She returns and starts feeding the machine madly and of course the machine keeps feeding out drinks. Another person walks up behind the blonde and watches her antics for a few minutes before stopping her and asking if someone else could have a go. The blonde turns around and shouts, "Can't you see I'm winning!"